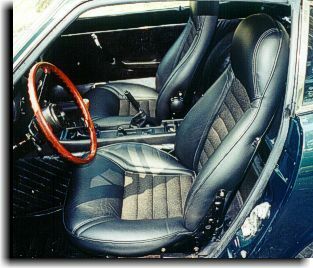 Catalina Custom recovered the seats in this real nice Datsun 240Z. 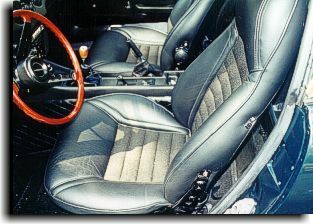 A black tweed cloth was used for the inserts with black leather on the outside of the tweed. 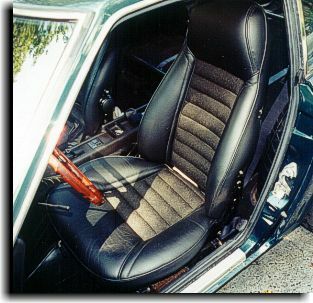 The side bolster sections of the backrest and cushions were built out approximately 3" for a better side fit for the customer. 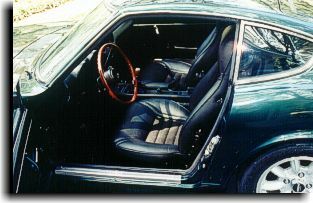 A black vinyl was used to trim the seats.